When you see a construction site, there is a chance that you always notice the sign before you enter the site itself. In most cases, it always tells everyone – safety first and often you see wearing a head protection is a must. Safety is the prime concern of many when it comes to hardware task. The same thing goes when you do a certain task at home whether you are going to do something prior to your front yard, backyard, attic, or probably a wood project. Of course, you want to be safe when doing these tasks. Therefore, it is obvious to wear safety gear such as safety gloves. Hands are the most common used organs when working. Whether what type of job you are engaged with, hands are probably the most important part of the organ in order to complete the task. You don’t want your hands to get wounded or injured just because of a small wood project at home, would you? This can affect your job and the things you love to do on a daily basis. Therefore, it is obvious that you should always protect your hand when doing some hardware. 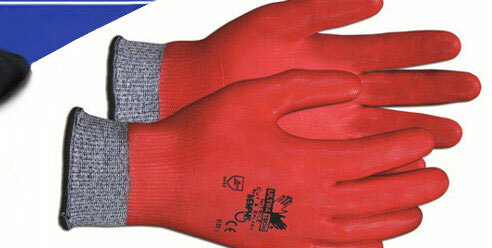 There are wide ranges of safety gloves you can find both online and offline hardware stores. This will vary of course when it comes to the needs. Mittens, for example, is intended for baking and pick up hot dishes since this type of gloves is heat resistant. There are materials used in order for the gloves to be heat resistant. Most of these materials are from the chemical industry. Burns and skin irritation are the two possible reactions of the skin when doing this task. You can find special hand safety gloves for garbage and gardening which is typically called as rigger gloves. These gloves are specially made in order to deal with such task. This can protect your hand whenever there is a potential object that can get your hand injured or wounded. For example, when getting rid of the garbage, there is an instance where shards from the bottle can get your hand wounded. This is where the safety gloves can protect you from these sharp objects. The same goes when it comes to gardening, some plants can get your hands wounded, but when you use this thick gloves, you are certain that you can do the things that you supposed to do in your garden. In any daily jobs or task, safety is the prime concern of many. All in all, accidents can do happen unexpectedly. So, why take the risk while you can minimize the damages that may occur? These things can happen, but you can avoid getting your hand wounded or damaged when you wear safety gloves. Safety gloves will not just keep your hands safe, but it also gives you the peace of mind that your hands will be safe.